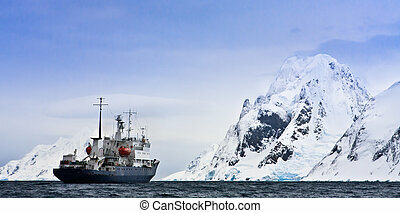 Big ship in antarctica. 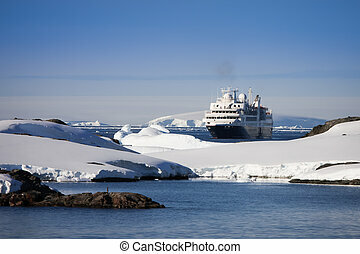 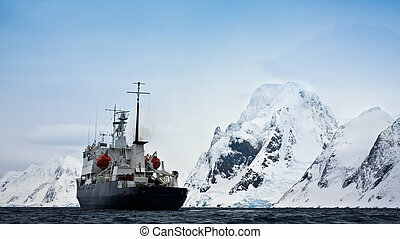 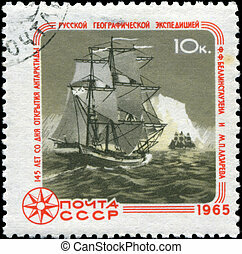 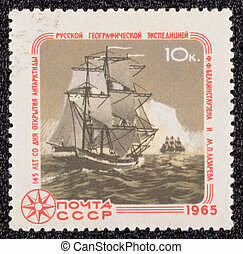 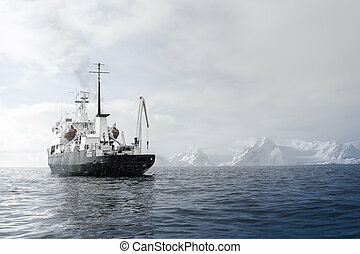 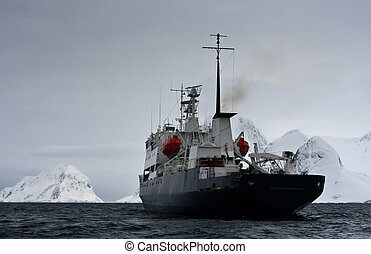 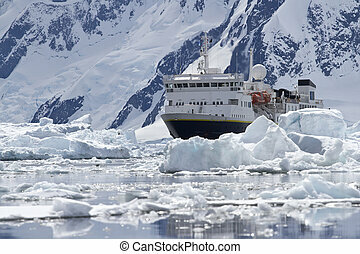 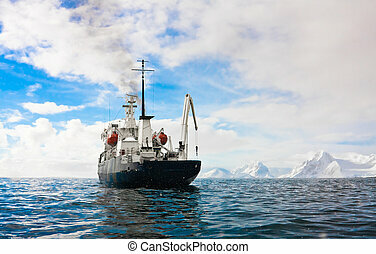 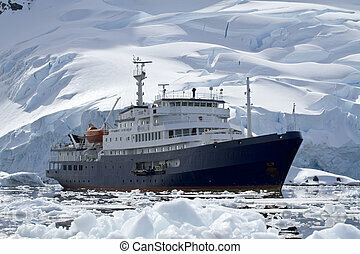 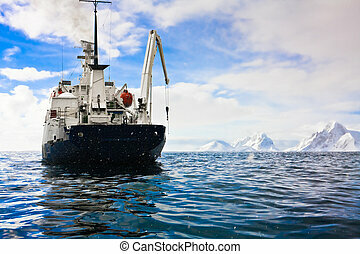 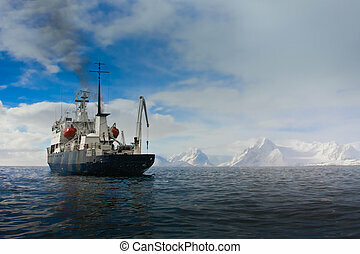 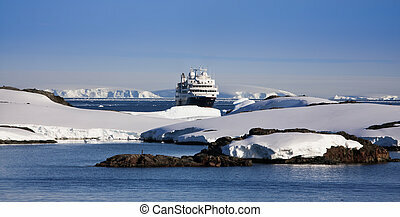 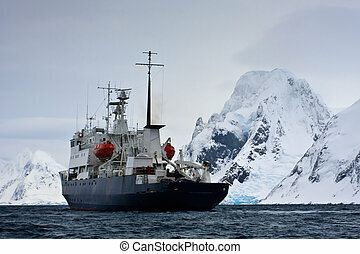 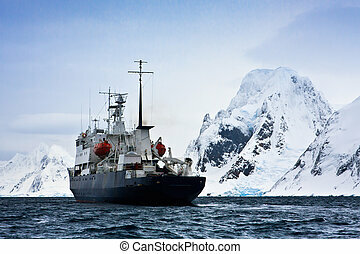 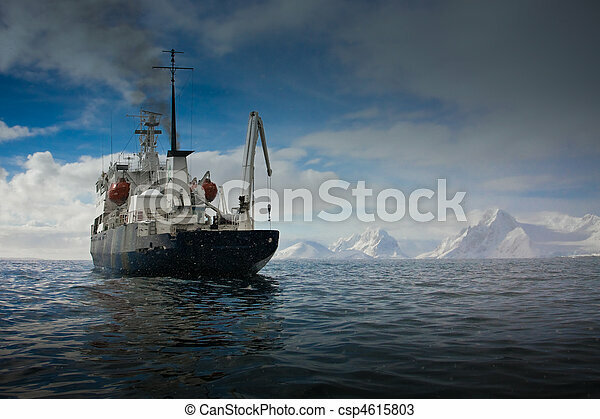 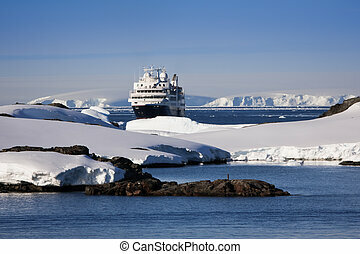 Big ship in antarctic waters. 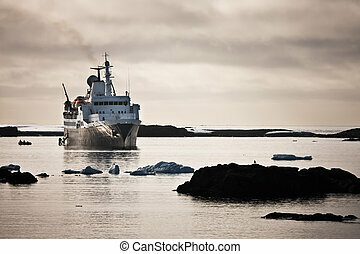 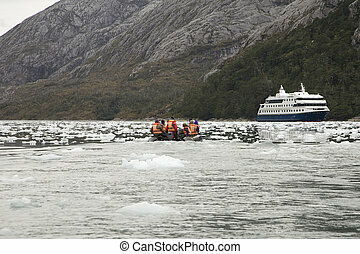 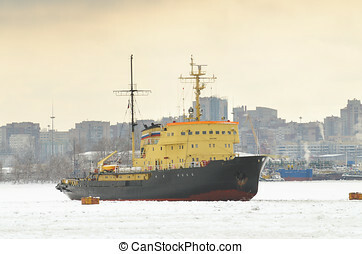 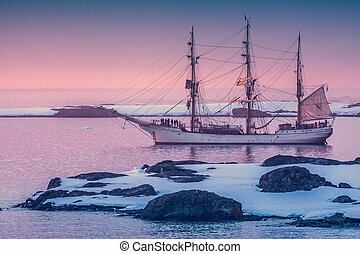 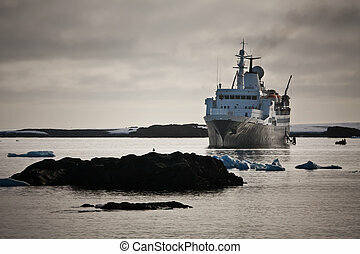 Icebreaker in the port is anchored.It is a powerful ship.